New Lions Marcus Adams and Lachie Neale. 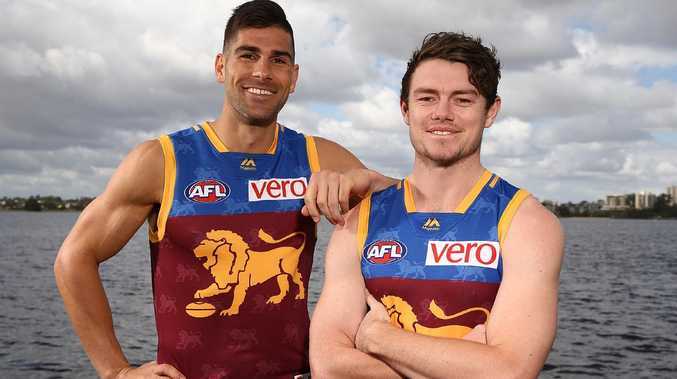 Brisbane has handed boom recruit Lachie Neale Dayne Beam's No.9 guernsey. The former Fremantle star will move into Beams' locker after the former Lions skipper returned to Collingwood in the trade period. 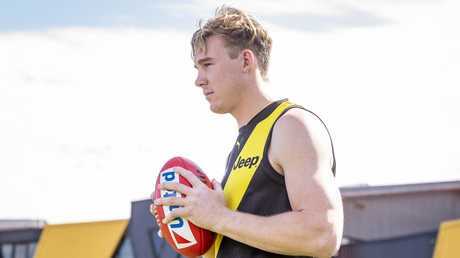 Former Western Bulldogs defender Marcus Adams received No.24 at Brisbane while ex-Cat Lincoln McCarthy has the No.11. Last month North Melbourne announced its off-season recruits Jared Polec and Jasper Pittard would wear Nos. 13 and 17 respectively. Lachie Neale celebrates a goal during his time in Fremantle. The remaining clubs are yet to reveal which numbers their recruits will wear in season 2019.